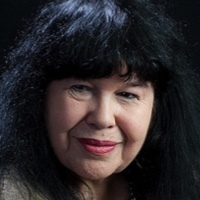 Marge Piercy “is not just an author, she’s a cultural touchstone. Few writers in modern memory have sustained her passion, and skill, for creating stories of consequence,” says The Boston Globe. An accomplished poet and novelist, her books include, The Moon is Always Female, My Mother’s Body, and Woman on the Edge of Time. Piercy’s latest collection, The Crooked Inheritance, features poems on the U.S. occupation of Iraq , health care, “the poet as a young nerd”, hospital hallways, and mangoes at the beginning of a new love affair. A popular public speaker, she has been a featured writer on Bill Moyers’ PBS Specials, Garrison Keillor’s Prairie Home Companion, Terri Gross’ Fresh Air, and many radio programs nationwide.